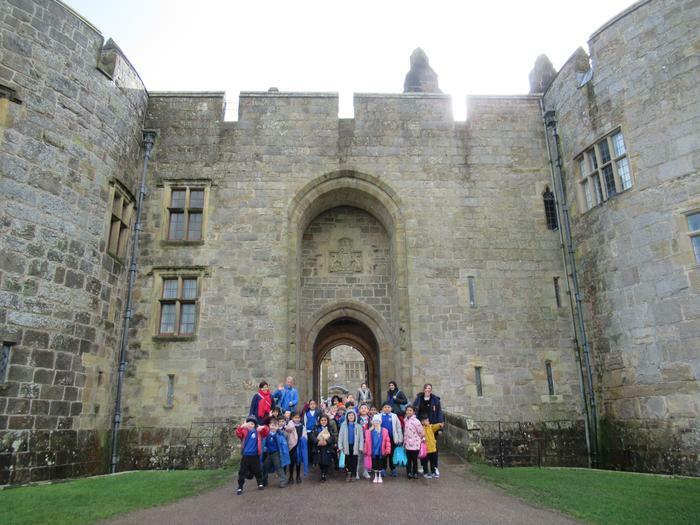 Today we went to Chirk Castle and had a brilliant time! 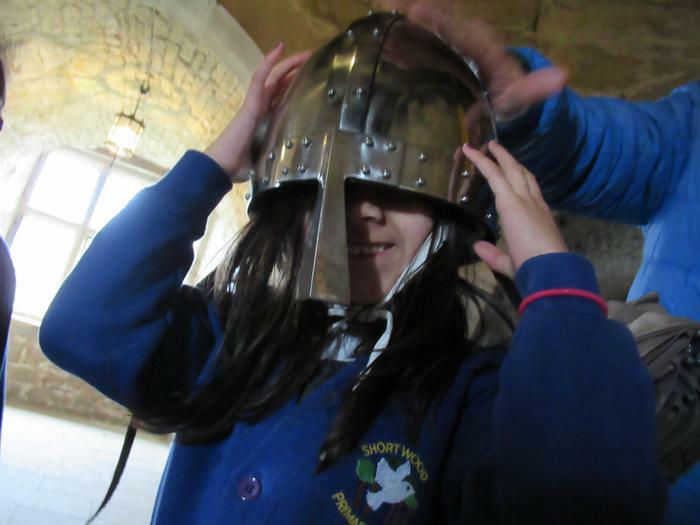 We all really impressed Miss Coleman and the National Trust staff with how much we could remember about castles. 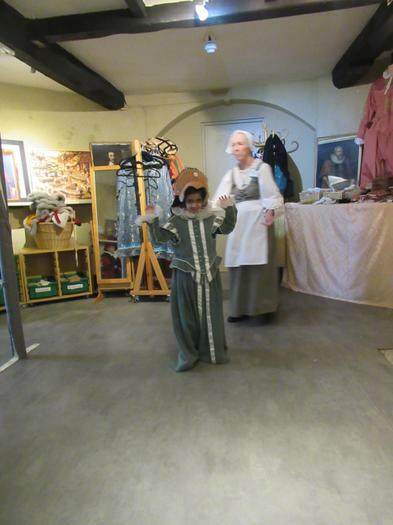 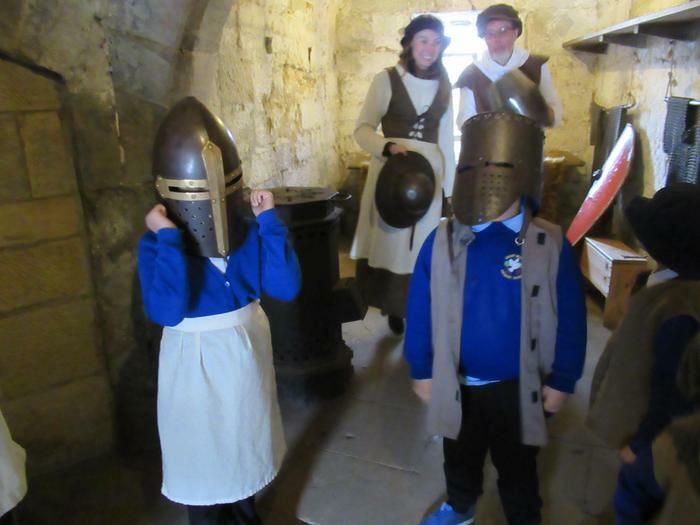 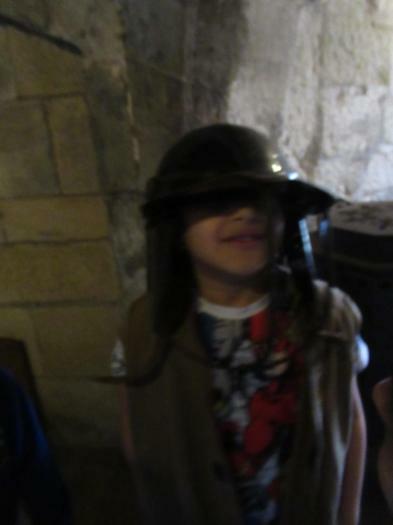 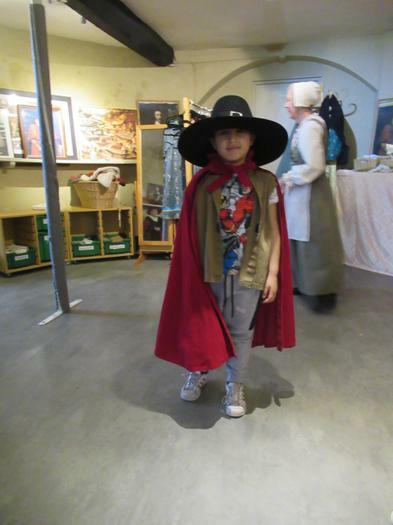 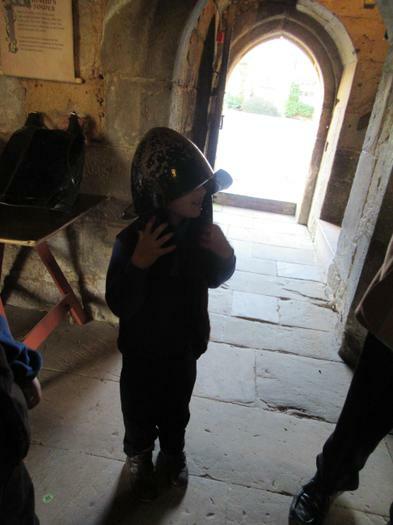 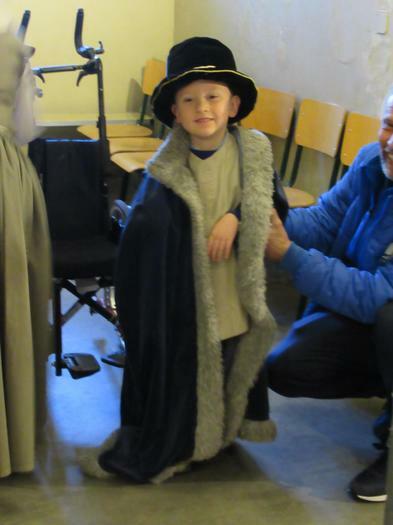 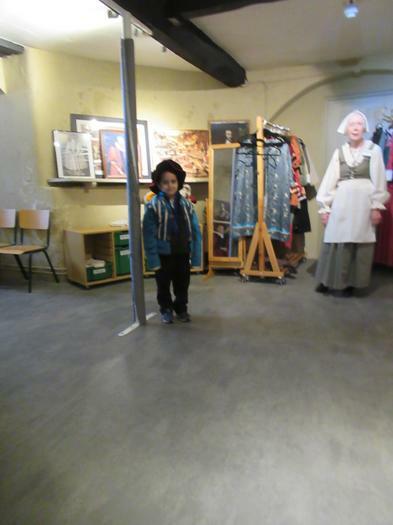 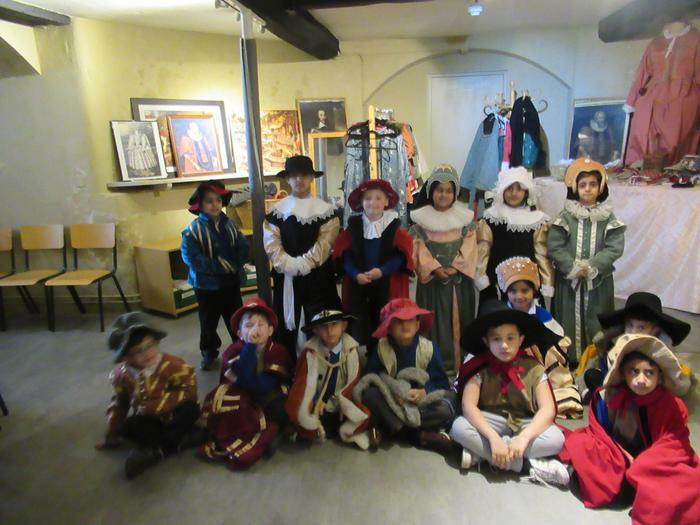 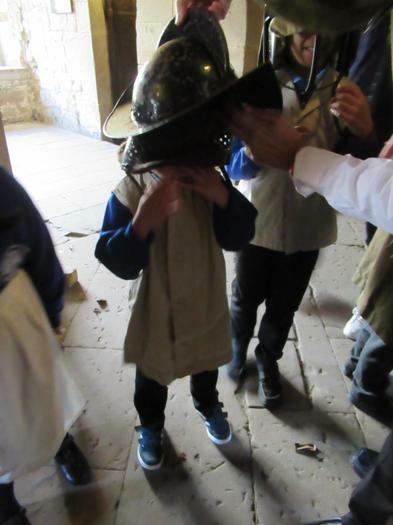 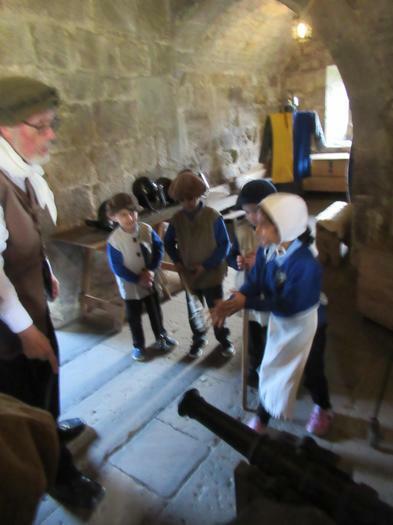 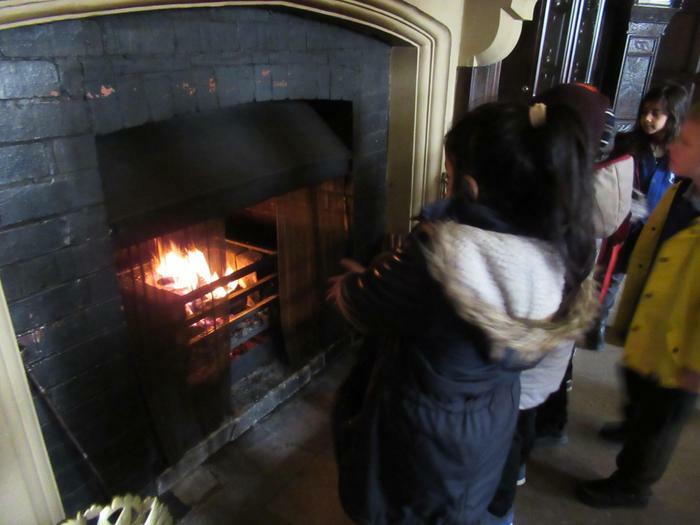 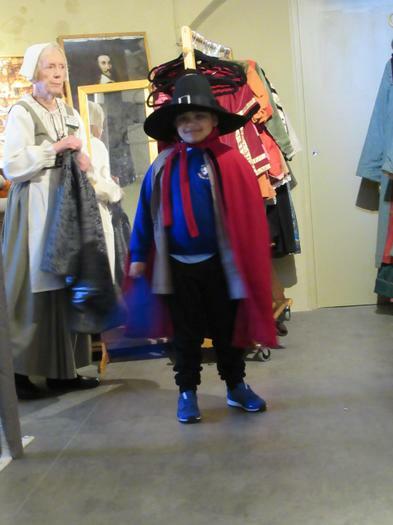 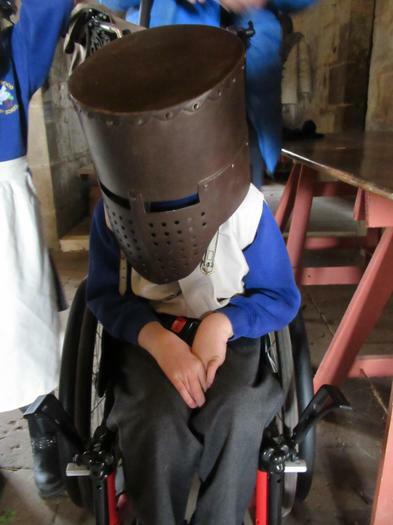 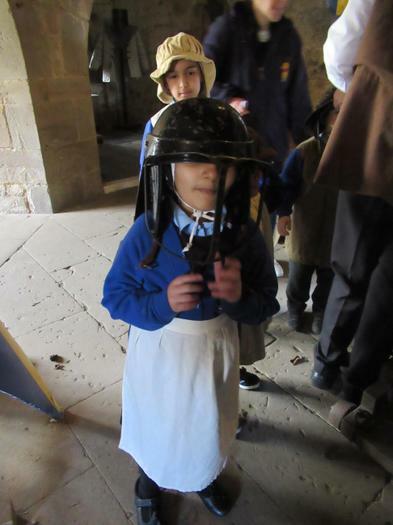 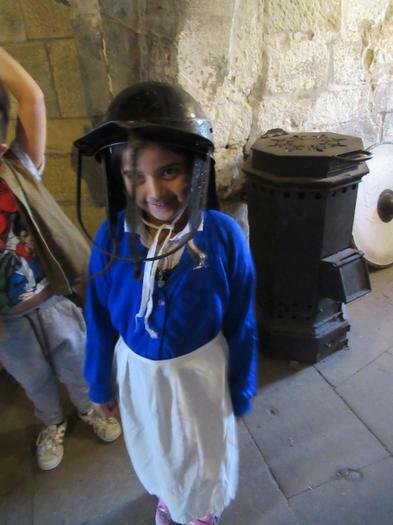 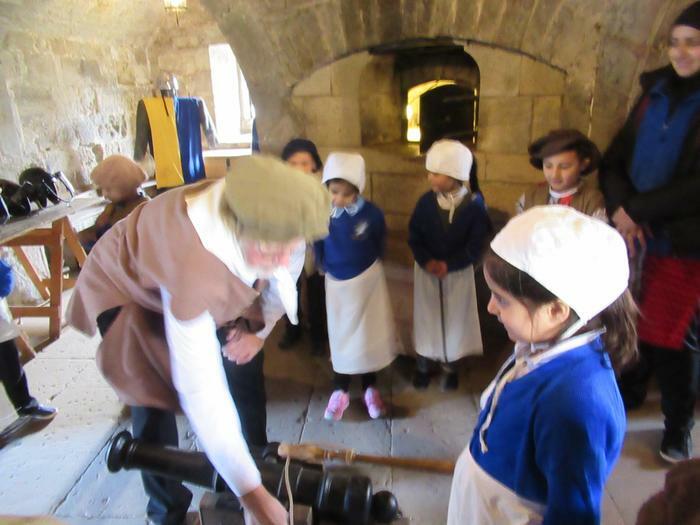 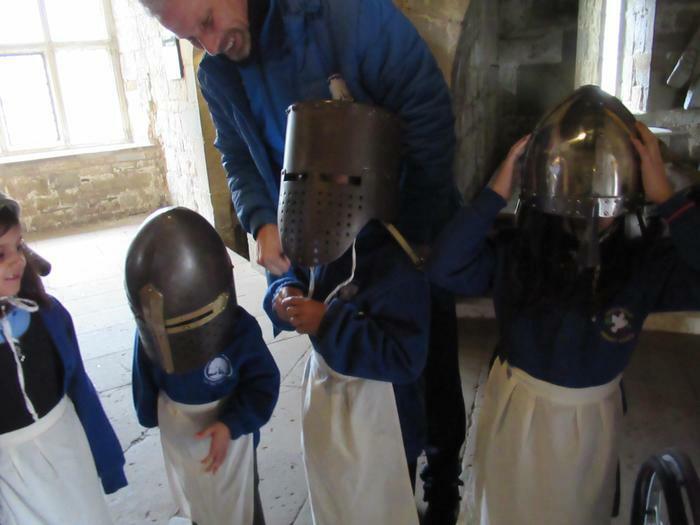 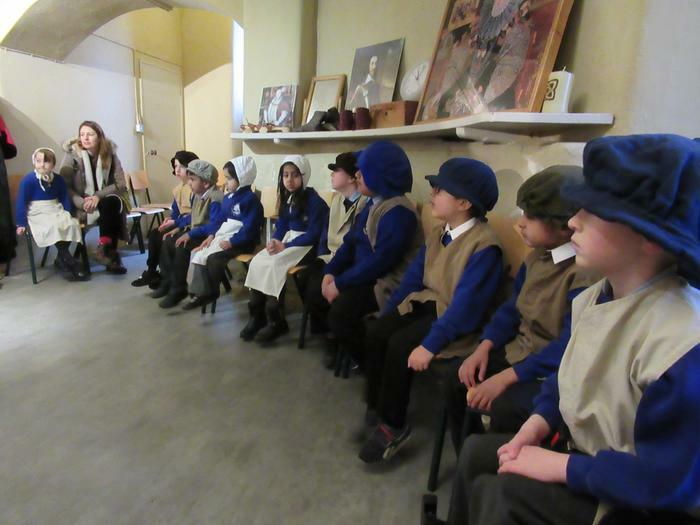 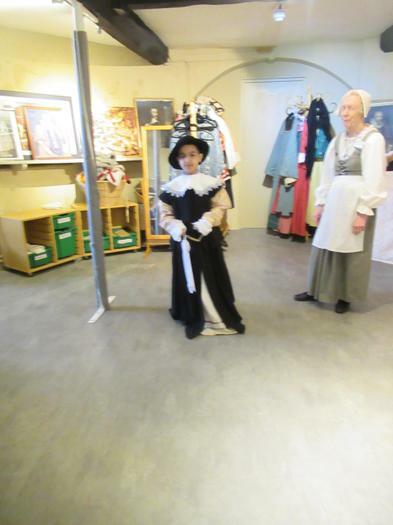 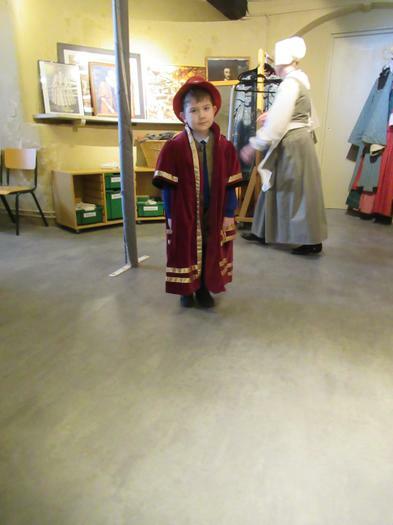 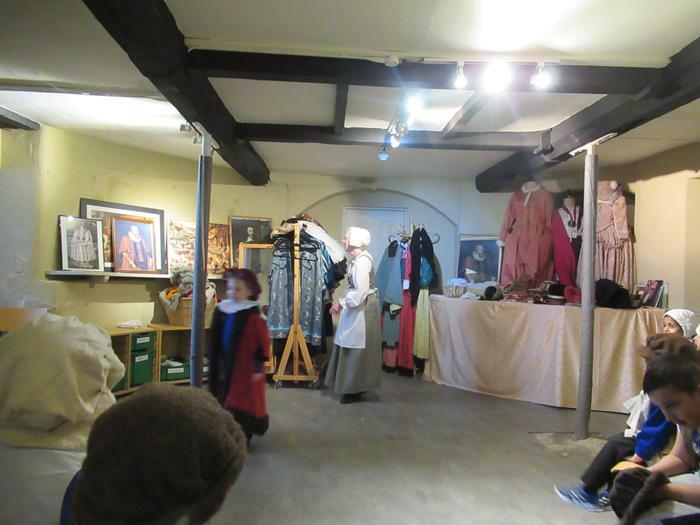 Whilst we were there we took part in activities that taught us about castle life at Chirk. 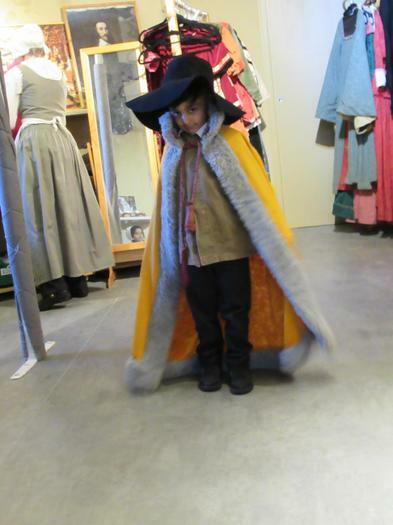 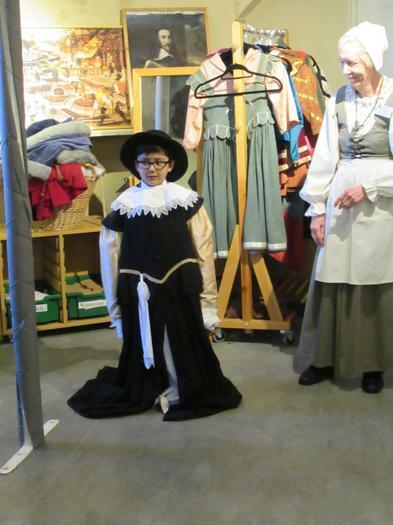 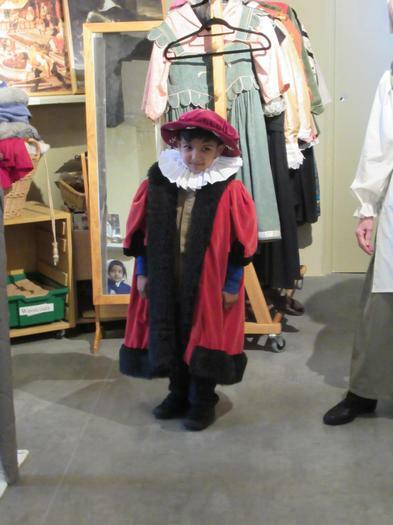 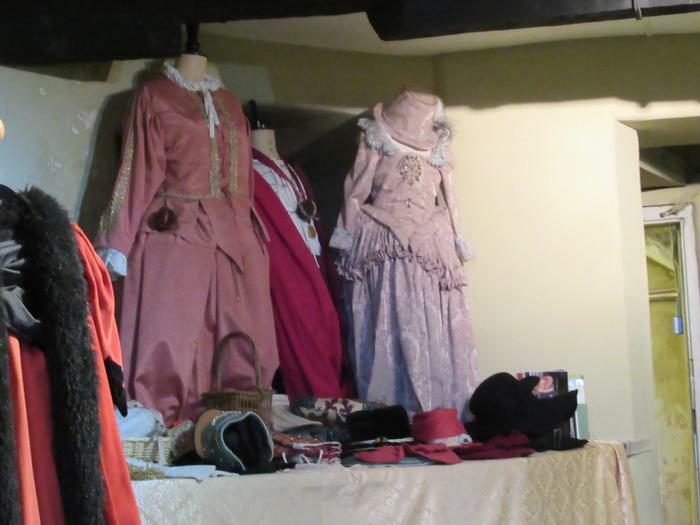 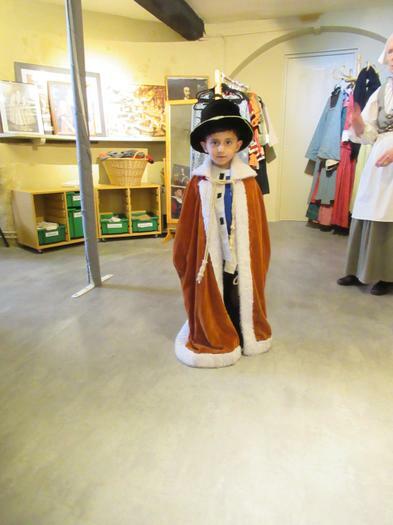 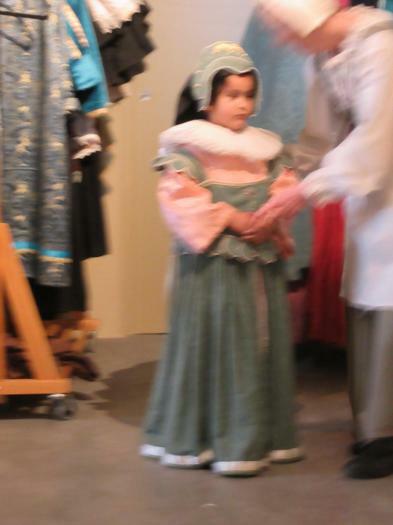 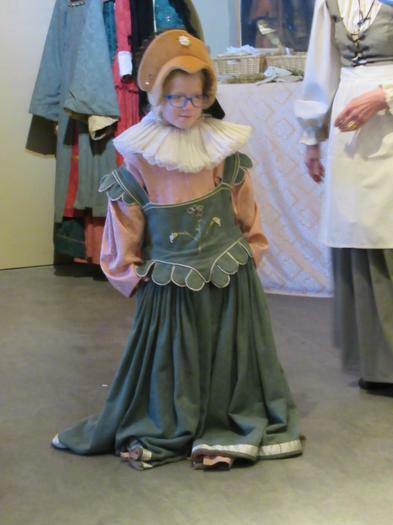 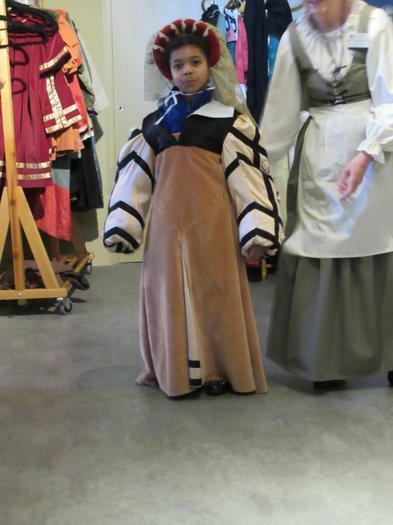 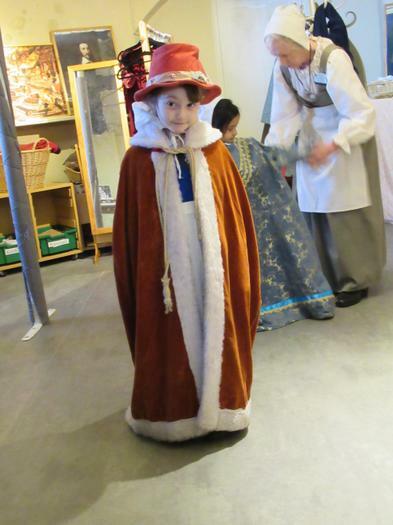 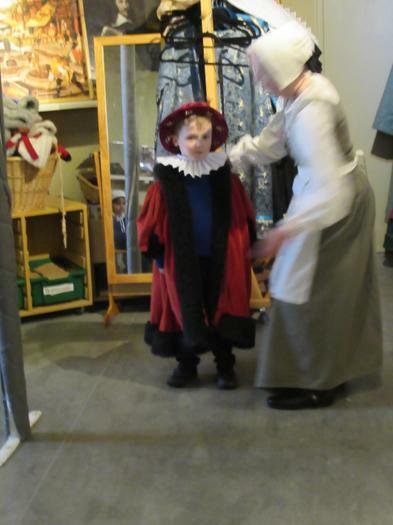 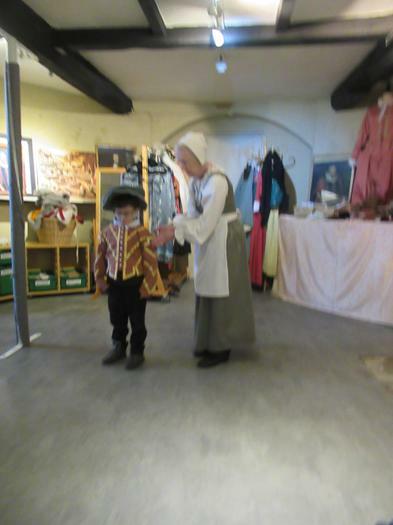 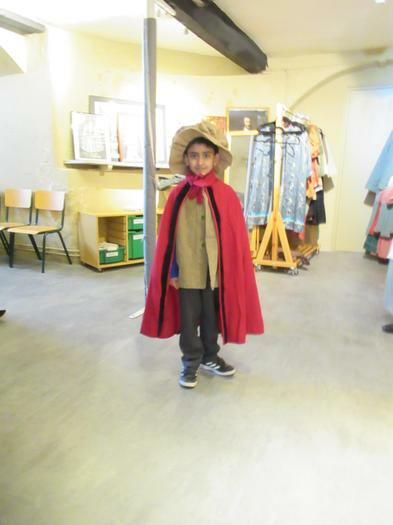 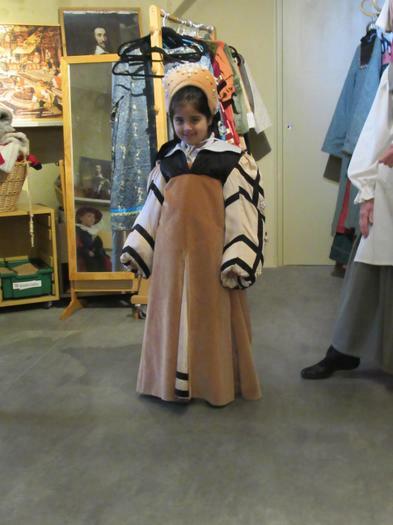 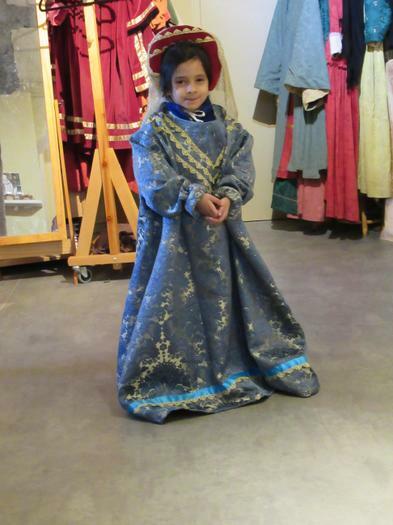 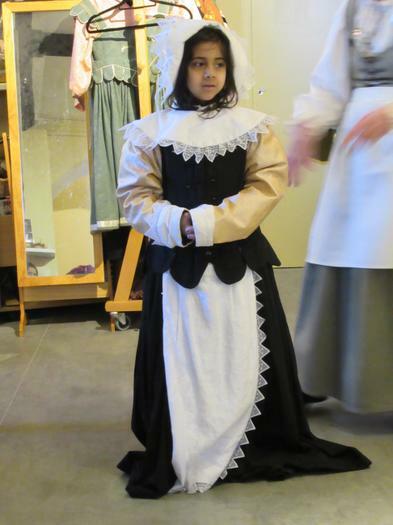 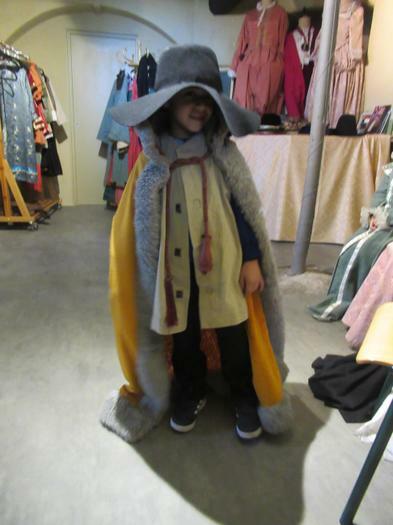 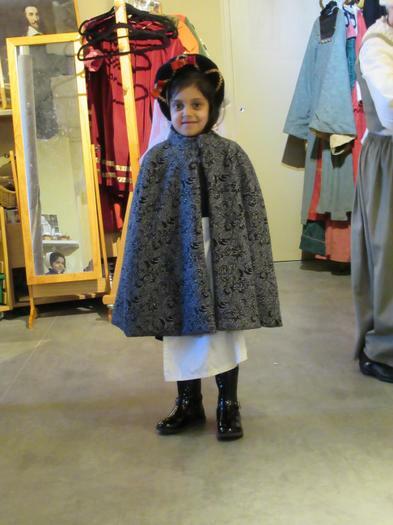 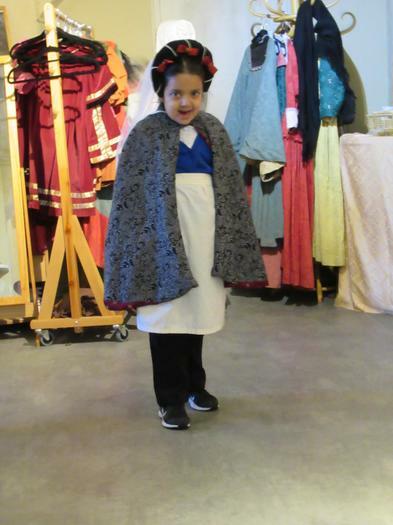 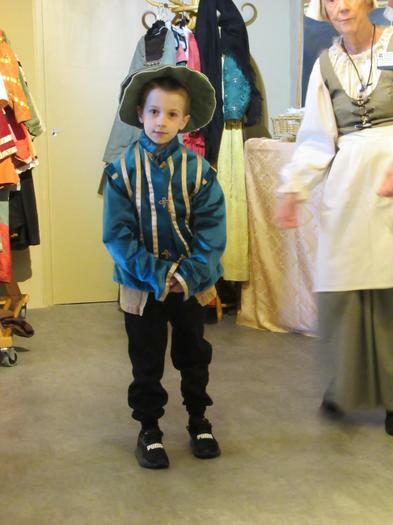 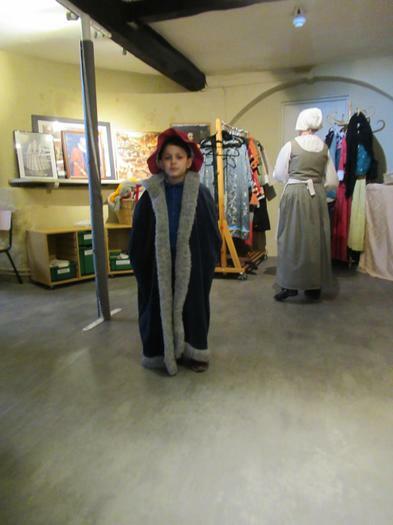 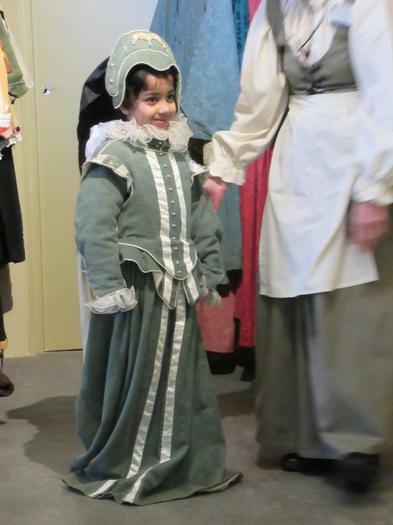 We looked at and tried on the clothes that Lords, Ladies, servants, messengers and visitors wore. 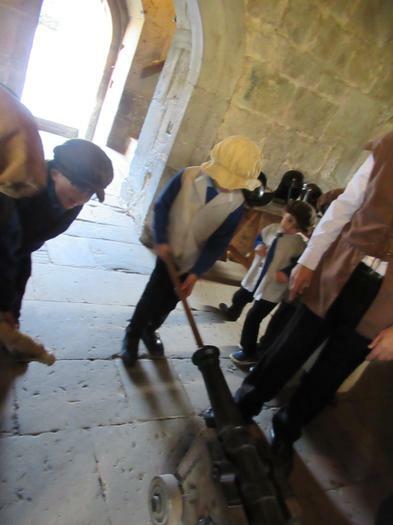 We were taught how the castle was defended by anyone who tried to attack. 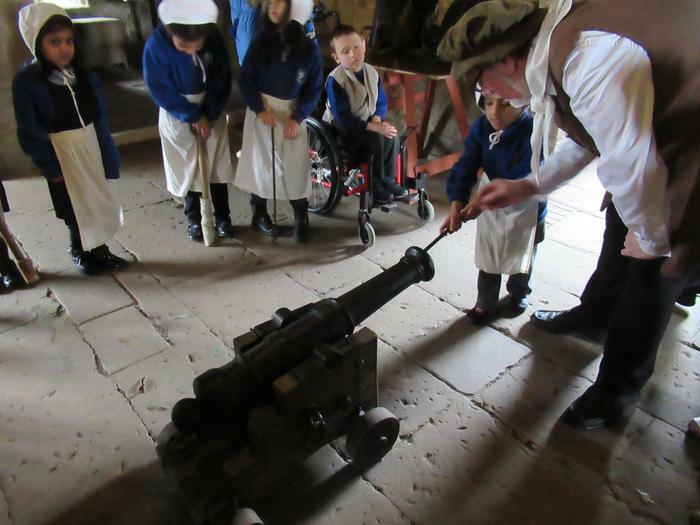 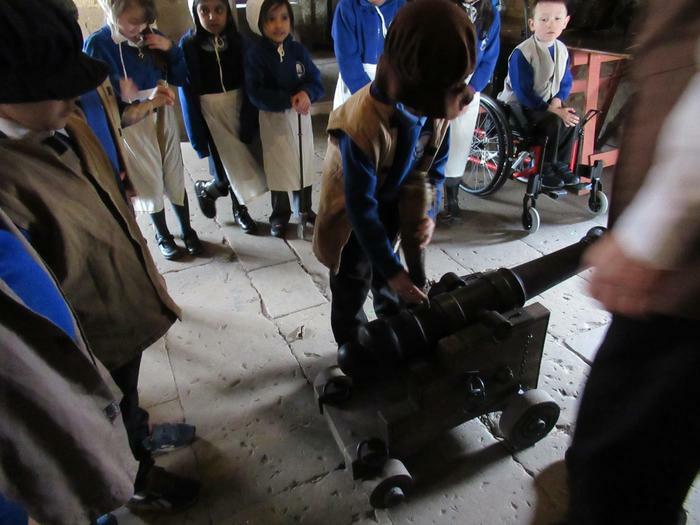 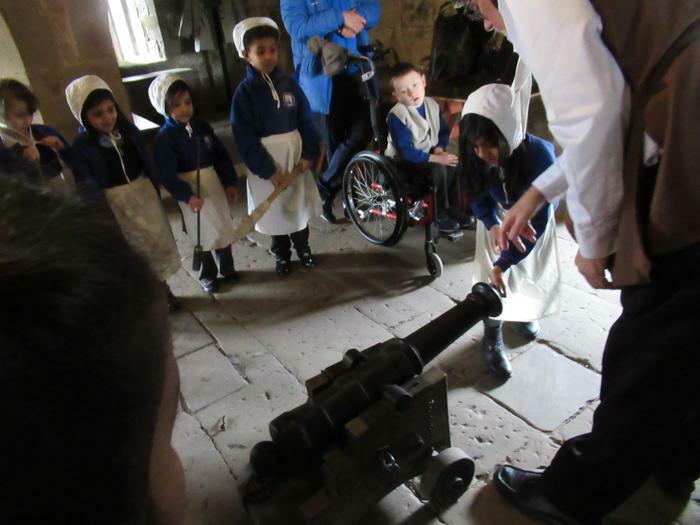 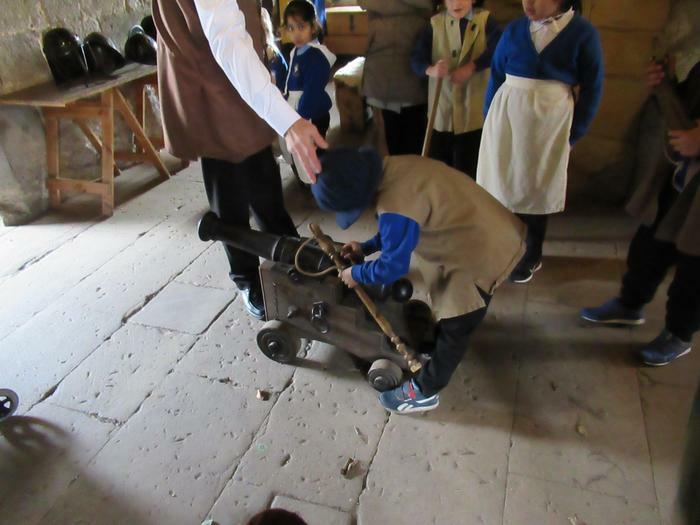 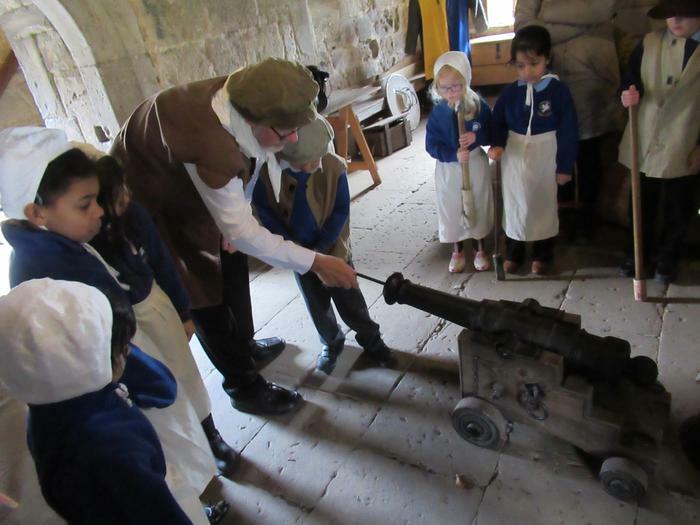 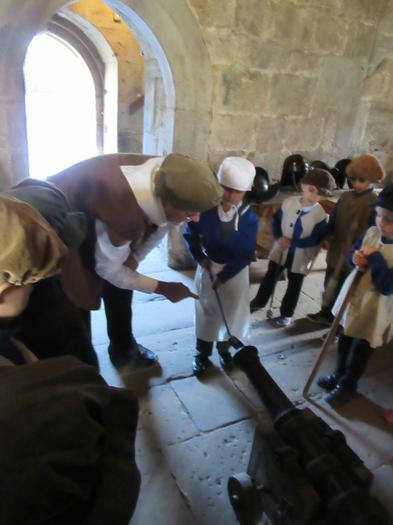 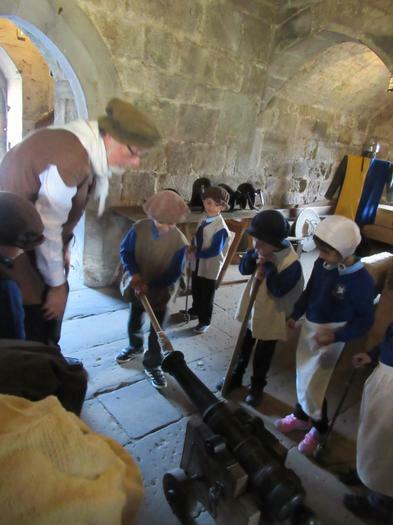 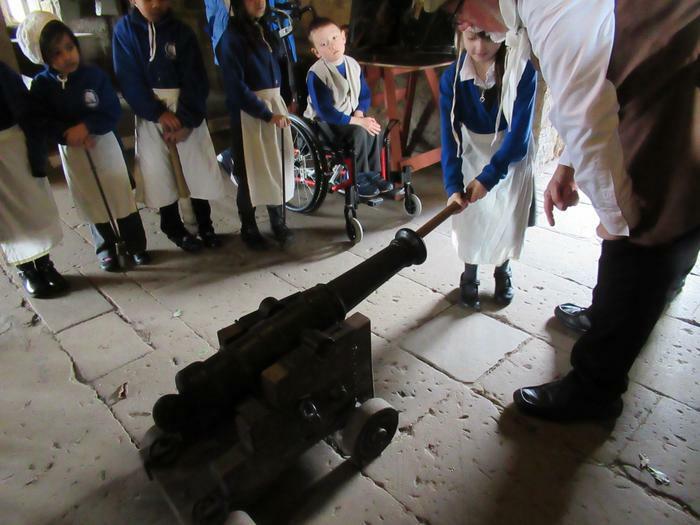 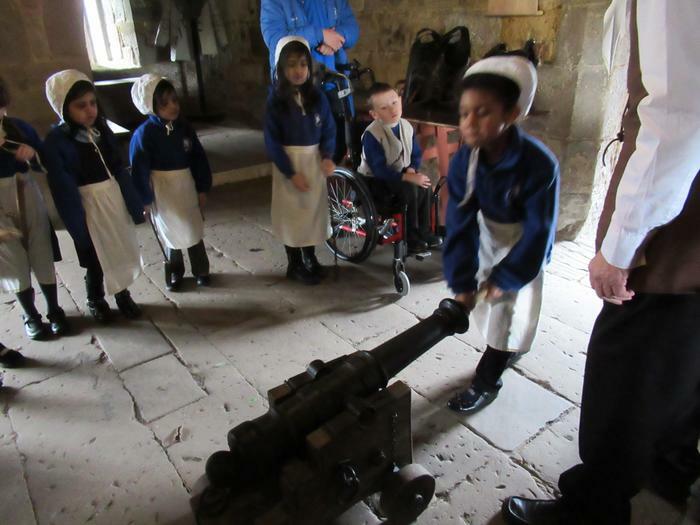 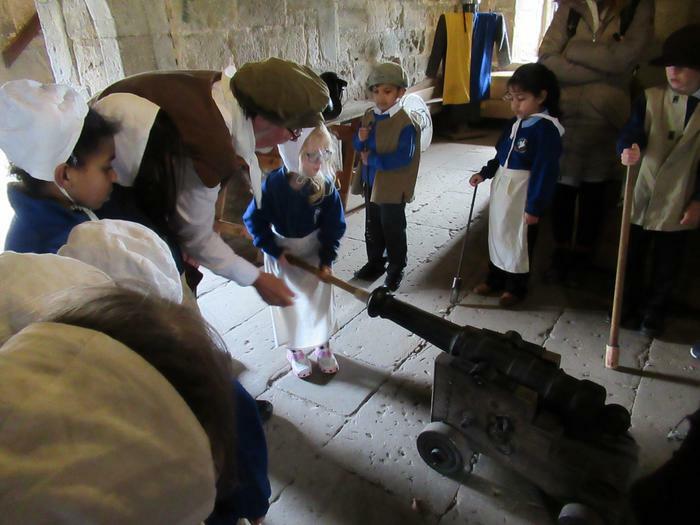 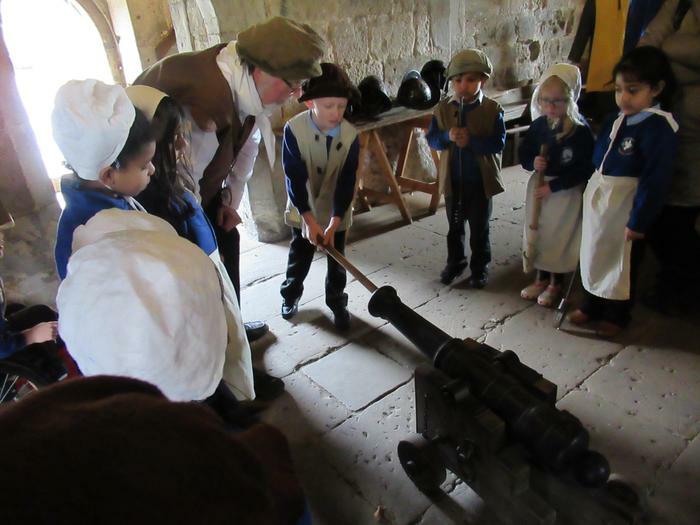 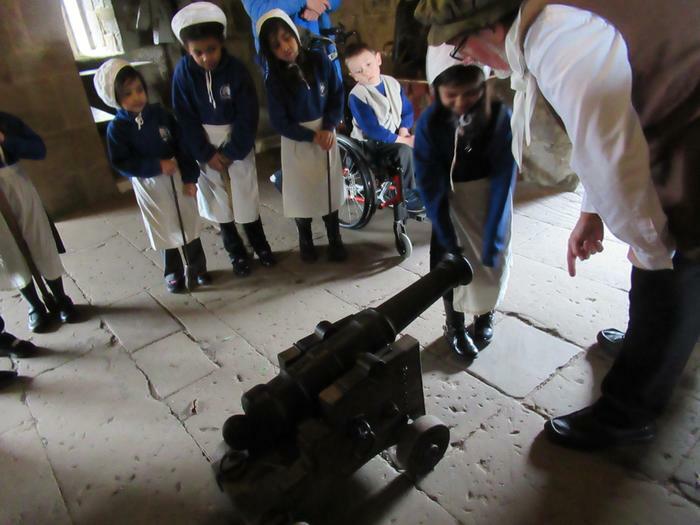 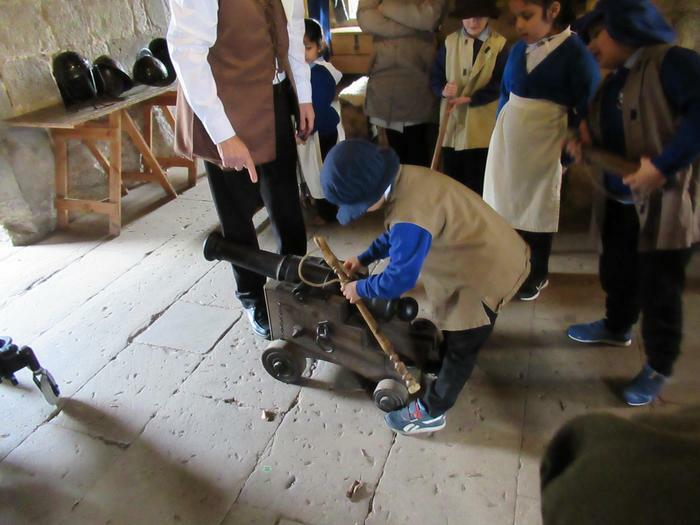 We pretended to load a canon, learning all about the necessary steps it took to make sure it was ready and cleaned after each blast! 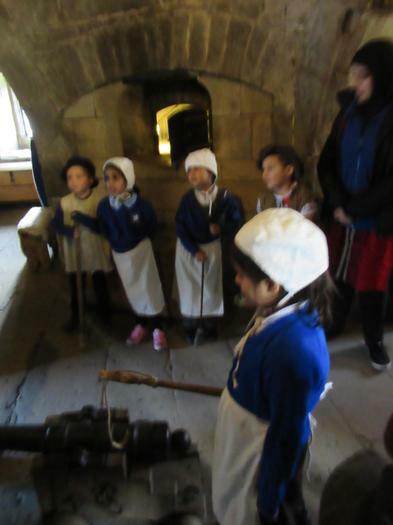 We walked down to the dark dungeon and were told about how grim it was for the people who were sent down there. 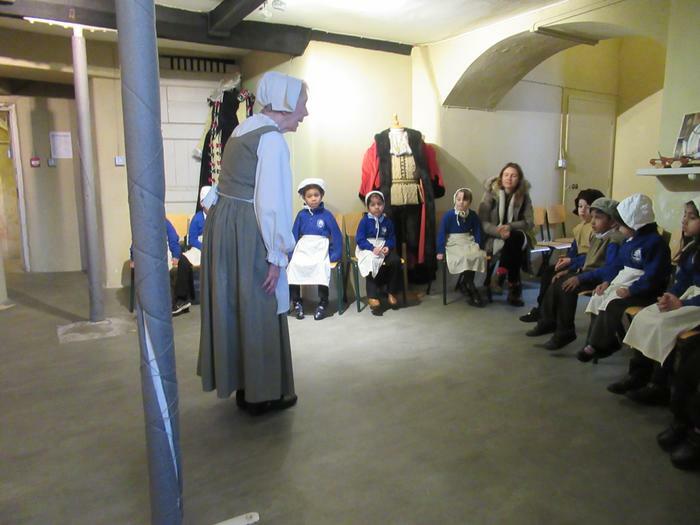 After lunch we walked around the state rooms and learned what they were used for. 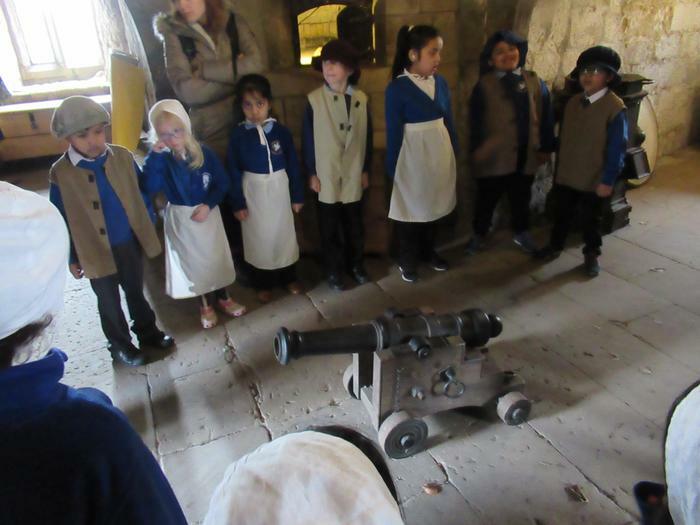 We had a fantastic day, please enjoy looking through our photos. 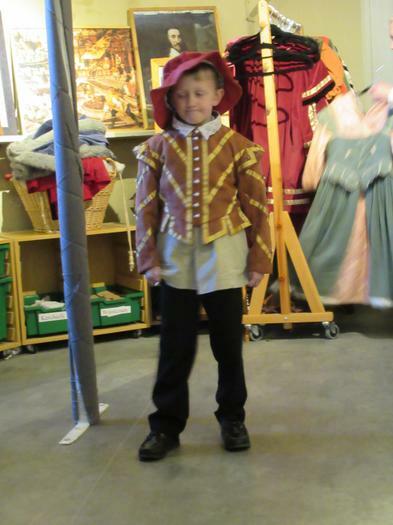 Class 6 had a brilliant day walking up the Wrekin. 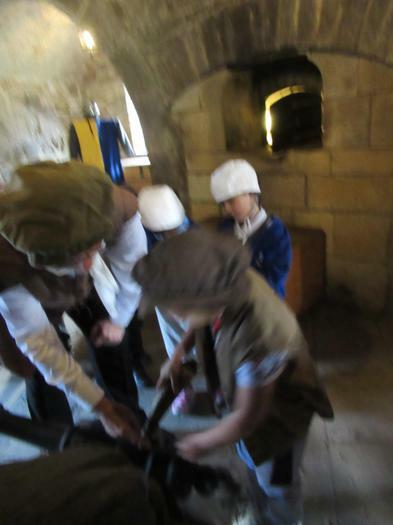 We were dropped off in 3 groups at the bottom and each group ventured a different way to the top. 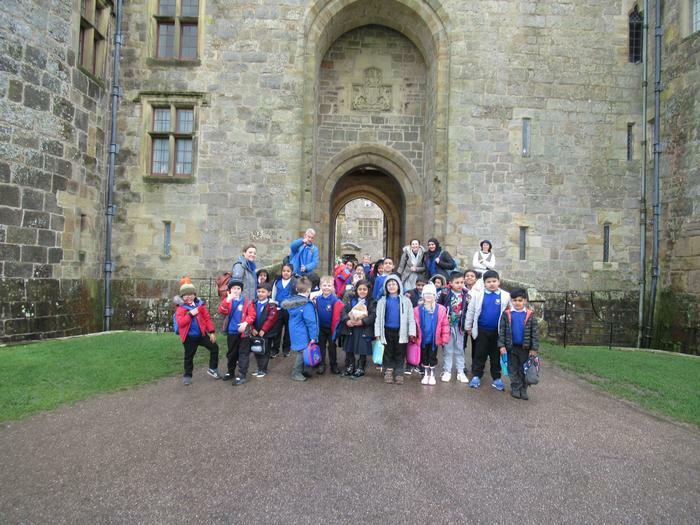 Once we were at the top we had a picnic and enjoyed the vast views of the surrounding areas. 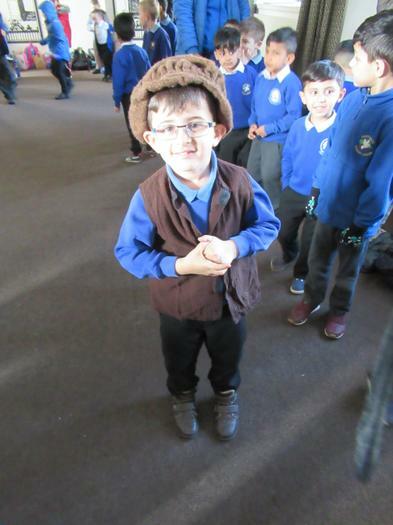 We looked at the maps and thought about the similarities and differences between where we live and where Katie Morag lives on the Isle of Struay.